DFW Events provided wedding coordination for this Preston Hollow bride's wedding. 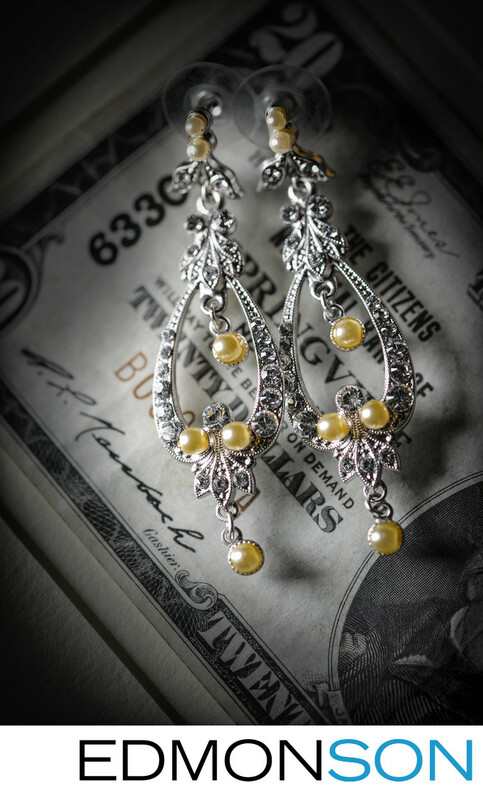 The earrings are placed on top of a 20 dollar bill that bears her grandfather's signature. He worked for the U.S. Treasury Department. 1/200; f/6.3; ISO 1600; 105.0 mm.